The New iPhone Screws - What's The Big Deal? Apple has long been using proprietary parts in their devices coming directly from the factory, but numerous reports from consumers state that Apple is now installing some after the fact. There has been a lot of outrage after iFixit posted a video detailing what happens when users bring their iPhone 4 into Apple stores for repair. These customers brought the phone in with its original phillips head screws installed in the bottom of the phone, but when these same customers had their phone returned, the phillips screws had been exchanged for what’s called pentalobular screws. 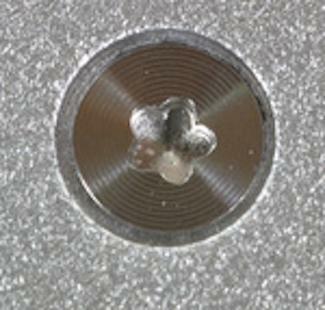 A pentalobe is a five pointed flowery shape that differs from a hex, torx, torx security or torx plus screw. It has also been confirmed that new iPhone 4 shipments are shipping with the new screw set as opposed to the original phillips head screws. The outcry stems from the fact that most people have a small phillips screwdriver in their toolbox, but don’t have a screwdriver to remove the tamper resistant pentalobular screws. According to iFixit these drivers are, “really rare and really expensive and usually require proof of Apple certification just to purchase them.” In reality these screw drivers are neither rare nor expensive, and can be found in a number of locations for under $10. In fact, within 20 minutes of watching the iFixit video I was able to find one on Amazon for $6.99 as well as my local hardware store for $13.99. If you really wanted to attempt an amateur repair, or modify your phone, these screws aren’t going to stop you. With these facts in hand, I just don’t see what the big deal is in regards to these screws. There can be 100 different reasons whey Apple has moved away from the standard phillips head screws, and chances are we will never know the real reason. It is a bit curious as to why the Genius Bar would swap out the phillips screws when an iPhone is brought in for service, but I doubt it is to keep you out of the phone. The conspiracy theorists proclaim that Apple is swapping out the screws to prevent you from repairing or modifying your phone. This may be the reason for the new shipments being equipped with the pentalobular screws, but I doubt that’s the reason for the in store exchange. In addition, if you were concerned with having the ability to repair your own phone, why would you have brought in into the Apple store for repair in the first place? I have my own theory as to why Apple stores are making the switch and I admit this can’t be easily confirmed. My feeling is that Apple is no longer stocking stores with the teenie tiny phillips screws and instead of reinstalling a potentially compromised phillips screw, they are installing the new pentalobular screws on hand. This may not be the reason, but it makes a lot more sense than directives from Cupertino to prevent users from removing the screws. I mean really, the vast majority of iPhone owners wouldn’t want to take the screws out themselves anyway. Worry not potential iPhone mechanics and modders, if you really want to remove the pentoblular screws a screwdriver will cost you at most, $20 and two days shipping from Amazon. I want to hear what you have to say. What do you think the reason is for the change in screw design? Does it bother you or are people making a mountain out of a mole hill?